SOMEWHERE in the country, a railway bridge is hit by a vehicle every day. It’s a staggering statistic, and such incidents continue to be a significant risk to railway safety. Official figures reveal bridge strikes outweigh level crossing incidents by a ratio of more than four to one. The Office of Rail and Road statistics for 2015/16 show that there were 1,753 bridge strikes, while level crossing incidents numbered just under 420. 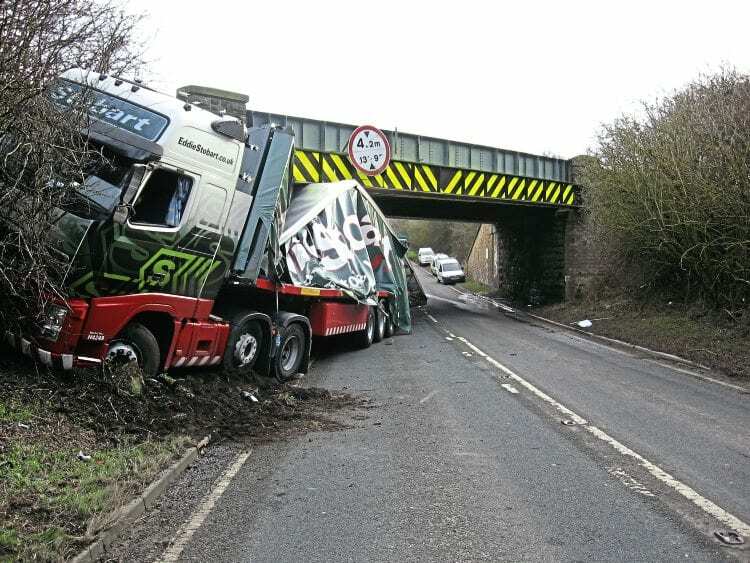 The majority of such incidents are caused by HGVs, but culprits can also include buses (around 40 such incidents a year), light vehicles and vehicles carrying plant equipment. Some years ago there was a minor incident at Atherstone where a caravan being towed under the 7ft-high bridge next to the station became wedged; so it can be all kinds of vehicle that put the railway at risk.